Beach tags are available before check in and after check out. Inn The Gardens B & B is a charming colonial home with 7 modern guest rooms and two first floor apartments. We are located in the quiet “Garden Section” (North end) of the island, away from the downtown busyness yet easily accessible to beach, boardwalk, bay, eateries and shopping. 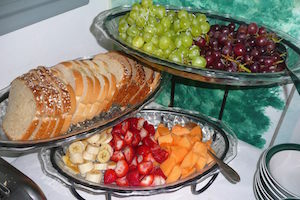 Scrumptious breakfast buffet every morning from 8 to 10. Beach tags are available check in and check out day, out door shower for your convenience, bike rack to store your bikes, and free wifi. Inn keepers as well as inn keeper dog are bilingual (Spanish/English). We are located at exit 30 off the Garden State Parkway. Cape May is only 28 miles, and Atlantic City is 8 miles away. There is something for everyone; walking, biking, strolling the boardwalk, amusements, swimming, surfing, kayaking, parasailing, fishing, jet skiing, cruising, whale and dolphin watching and of course there is always shopping along Asbury Avenue with all the quaint shops. There are also great golf courses close by. Easy walk to the beach, boardwalk, bay, and eateries! Ideal for beach vacations, celebrations, retreats and reunions. A fabulous old beach guest house now being reused as a B&B. The rooms are clean & comfortable. The owners are great and the home cooked breakfast is wonderful. Close to the Northern OC beaches & in the beautiful garden section of town. Very peaceful area. Close walk to the beach. Yummy breakfast. Very clean. We stayed in the daybreak room which has a private balcony. Room also has a king size bed and a full size bed. Very friendly owners. Wonderful B&B conveniently located in The Gardens area of Ocean City. Jennifer treats you like family. Easy walk to beach and boardwalk and ice cream!! I go every year with my sisters for a reunion. Breakfast is homemade and plenty of variety. 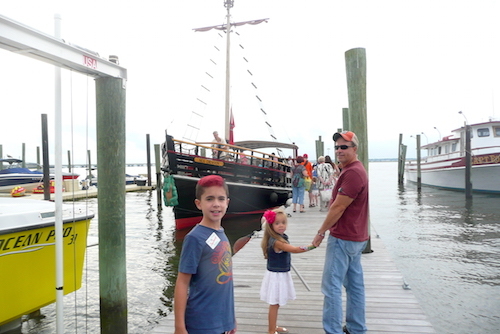 Come and have fun during the summer on the beach or 2½ mile boardwalk. Picture yourself splashing in the waves, basking in the sun, or arriving at one of the delicious eateries here in town. Breakfast buffet every morning from 8 to 10 am! Less than 15 minute walk to Beach, Boardwalk & Bay! Less than 15 minutes away from fun golf courses and boardwalks!